Tebrikler - 9. 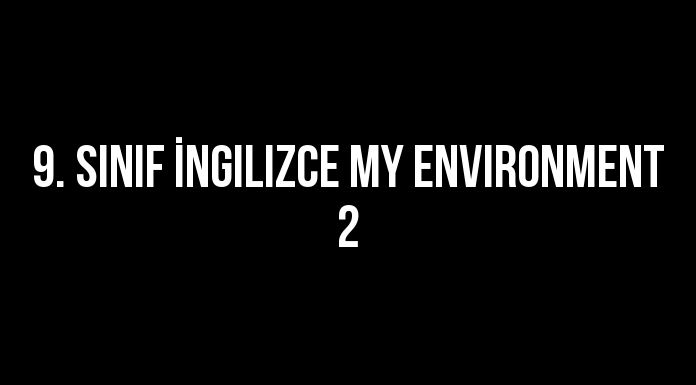 Sınıf İngilizce My Environment 2 adlı sınavı başarıyla tamamladınız. "1 - 8. sorularda boşluklara gelen uygun kelime ya da ifadeyi işaretleyiniz." 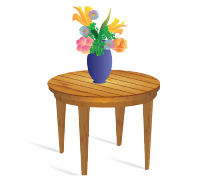 The flowers are - - - - a vase - - - - the table. We always cook meals in the - - - - and sleep in the - - - -. Would you mind, - - - - here because there is a baby. We park our car into the - - - - and we have a shower in the - - - -. Learnig Turkish is - - - - than French. Our school band consists - - - - a singer, two gitarists and a drummer. Alian : - - - - any living rooms in your house? Beric : Yes, there are two living rooms. Alian : Where are they? Beric : They are- - - -. Saleswomen : May I help you ? Customer : : Yes, I am looking for a necklace. Saleswomen : How about this one ? Customer : - - - -? Saleswomen : It is fifty Euros. Customer : Great! I will take it. Somebody has stolen your mother’s bag. She is very sad because her new mobile phone was in it.What do you say? Yukarıda verilen duruma uygun ifadeyi işaretleyiniz. What colour was your bag? I’m really sorry. Let’s call the police. "10 - 11 - 12. soruları aşağıda verilen paragrafa göre cevaplayınız." Hi, my name is David. I live in a small town. It is very beautiful. When I need cash, I go to the (10) - - - -. It is very close to my house. There is also a (11) - - - -. I always watch movies there. If I get bored, I can walk around the (12) - - - -. There are different kinds of flowers and trees in it. There is a supermarket near my house. I buy foods and drinks. There is a cafe’ behind the supermarket. I always drink coffee there after school. I love my town very much.